If you’re fearful that you’ve been overwatering your lawn, look for these common symptoms. While it may seem counterintuitive to some, there is such a thing as too much water for your lawn. Overwatering your lawn can lead to a plethora of problems, some of which are much easier to cure than others. 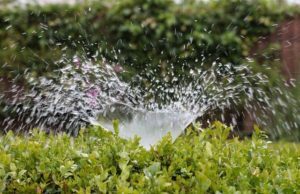 To avoid overwatering your lawn, install a home irrigation system that will ensure your lawn gets the proper amount of water. If you’re fearful that you’ve been overwatering your lawn, look for these common symptoms. Some mild weed growth is normal for any lawn. This type of weed growth can be easily managed with chemical agents and simply pulling out weeds from their roots. Lawns that tend to be overwatered, however, suffer a much worse fate. With the abundance of water, weeds tend to get out-of-control and be much more difficult to irradicate. If you’ve noticed that you’ve had a hard time killing some weeds in your lawn, it could be a sign of overwatering. Thatch is more than an eyesore. Thatch is grass that has partially decomposed from the roots and forms into a matted clump of grass. Too much water can weaken grass plants from the roots up, causing thatch to form in patches around your lawn. Not only does this look bad, but it means your grass isn’t growing properly. Dead grass isn’t the worst of your problems if you’re overwatering your lawn. Overwatering may lead to a domino of effects, one of which is a spike in the insect population. Most insects require damp habitats to live in, like thatch. Thatch could be harboring a huge amount of bugs that you’re unaware of. 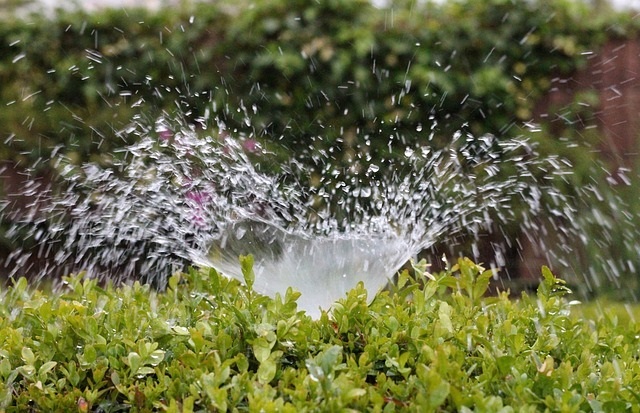 By contacting a local irrigation specialist, you’re ensuring that your lawn gets exactly the right amount of water. Other common signs of an overwatered lawn include a spongy feeling when you walk on your lawn, run-off collecting when your lawn can absorb any more water, and the grass turning a yellowish color due to lack of nutrients getting to the root. All of this can be fixed with a home irrigation system. When your lawn looks healthy, you’ll be happy and eager to show off your home! This entry was posted on Friday, June 15th, 2018	at 2:03 pm	. You can follow any responses to this entry through the RSS 2.0	feed. Both comments and pings are currently closed.